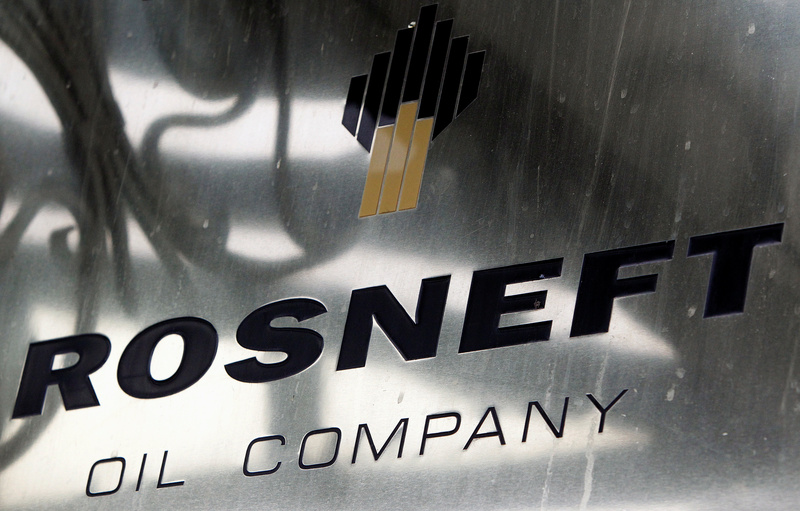 A logo of Russian state oil firm Rosneft is seen at its office in Moscow, October 18, 2012. Qatar is taking a stake in Rosneft of nearly 19 percent, rescuing the Russian oil major from its stalled deal to sell a major stake to China’s CEFC. Qatar’s sovereign investment fund QIA initially bought 19.5 percent of Rosneft together with Swiss trading giant Glencore for 10.2 billion euros ($12.2 billion) during the Russian firm’s partial privatization in 2016. But in 2017 the consortium agreed to sell a 14.16 stake in Rosneft to CEFC China Energy in a $9.1 billion deal that was seen as key to helping expand relations between Russia and China, the world’s top energy exporter and top energy consumer. Glencore said on May 4 that the consortium that had been selling the Rosneft stake had been dissolved, and said Qatar and Glencore would now own stakes directly. QIA would control an equity stake of 18.93 percent and Glencore would hold 0.57 percent.